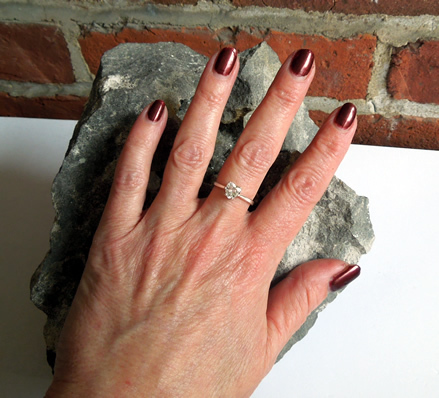 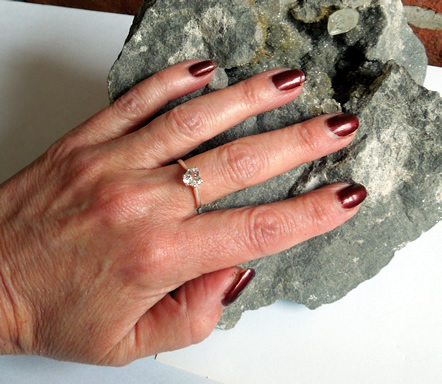 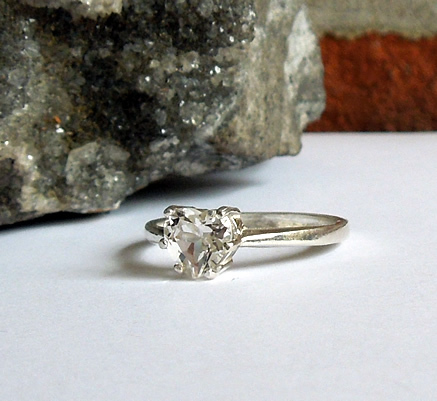 Notes: A heart cut Herkimer Diamond ring makes for a unique engagement or promise ring. 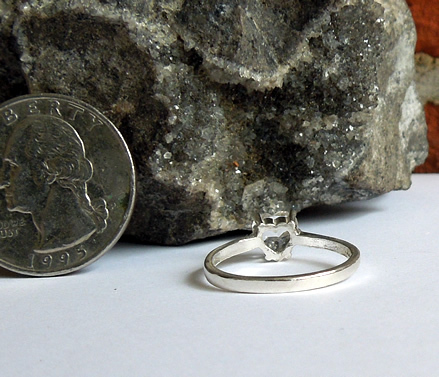 This heart shape cut quartz crystal measures 6x6 mm / 1 ct. 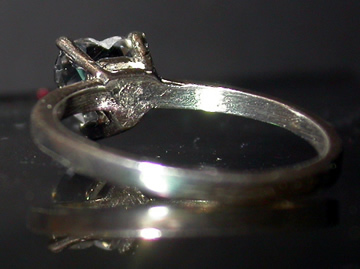 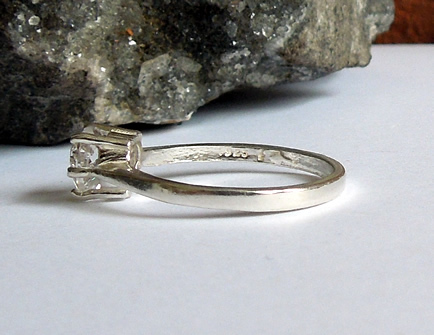 It's set in a Sterling size 7 solitaire ring setting. 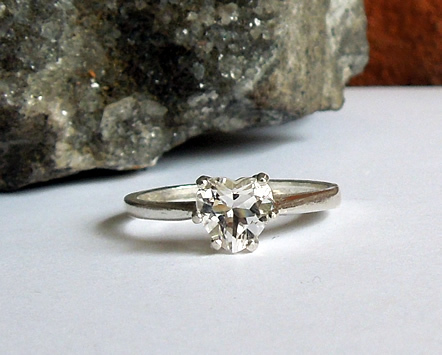 A heart shaped cut quartz crystal ring.